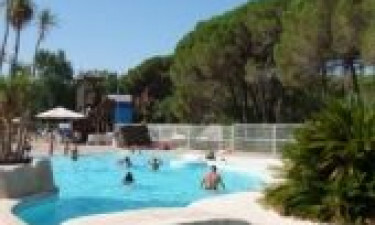 Parc St James Oasis is a luxury camping site that is situated between the Esterel and Maures mountains. These majestic mountains for the perfect backdrop to this pretty camping site, which is set in a 42 acre nature park that is filled with oak and pine trees. People who rent a mobile home here will find plenty of space to simply relax and unwind, while those who enjoy being active will find a large selection of amenities as well as organised activities right on the site. What Makes Parc St James Oasis So Special? 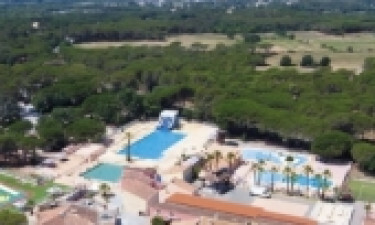 One of the great things about arranging a camping holiday at Parc St James Oasis is that the kids will be fully entertained at all times. This LUX-camp comes complete with a large playground that features a jungle gym, climbing walls and slides. Kids aged between four and twelve are also invited to join the Mini Club, which is organised by an activity leader to make sure that the kids never stop having fun. Adults are sure to love unwinding in the onsite spa pool that features a Jacuzzi and jets, while the large outdoor swimming pool is another great place to splash around and have fun. Lovers of luxury camping will also be able to indulge in a little pampering with a range of different spa treatments, while the fully loaded fitness centre is a great place to get fit and work up a sweat. Parc St James Oasis makes the perfect base to use while exploring the surrounding area. The beautiful Saint Aygulf beaches are situated less than ten miles from the LUX-camp, which means that guests can drive there in a mere matter of minutes. Bicycle hire is also available at Parc St James Oasis and cycling to the sand as well as along the winding coastal roads that run alongside the ocean is an experience that visitors should not miss. 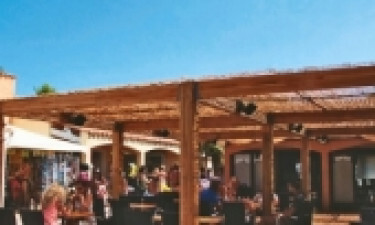 The Rapido is an onsite snack bar where guests can order a quick snack to eat on the site or take away with them. The snack bar area boasts an ice cream maker that the kids will love learning how to use. People who are looking for something more substantial will also find a good selection of French and international meals to choose from. A diverse entertainment programme is organised for families in the evening and includes special music groups, cinema evenings, karaoke and family games. People who prefer to prepare their own meals will find a good range of groceries to choose from in the onsite supermarket. Both French and British products can be found here and guests will have no trouble putting together a picnic to eat at the beach as well as evening meals if they choose.